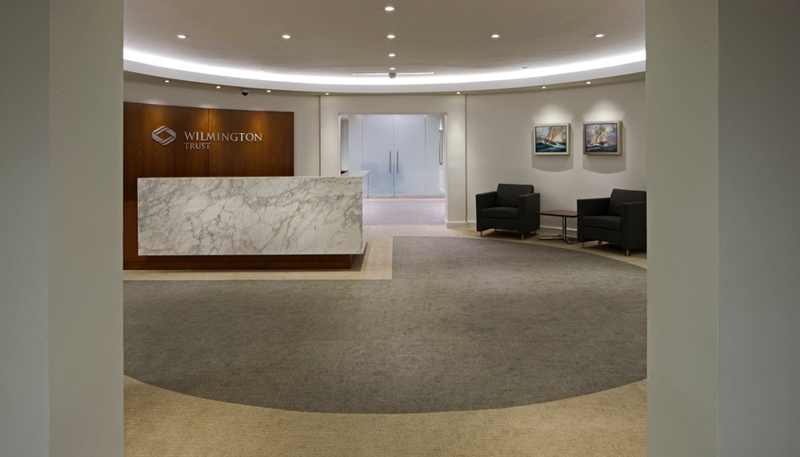 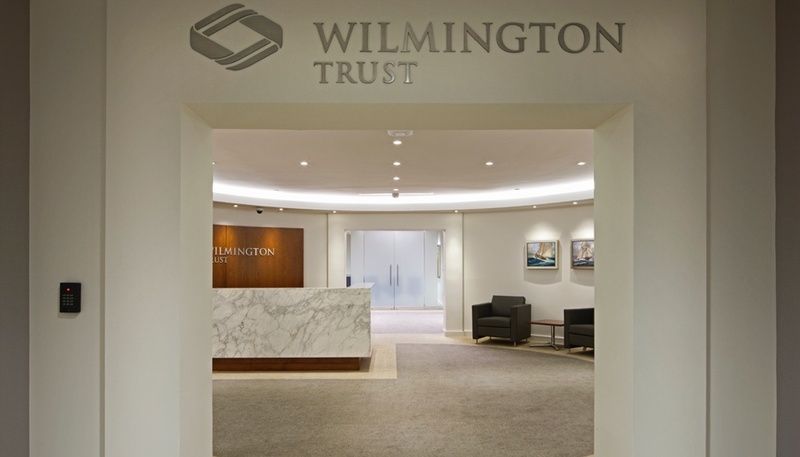 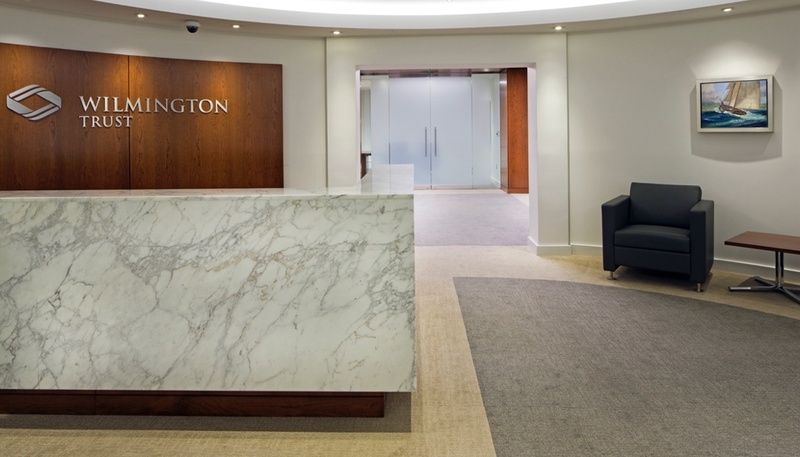 Schaefer Construction was engaged to construct the Wilmington Trust wealth management offices at 25 South Charles Street because of our history of successful projects with the client and reputation as a collaborative team player. 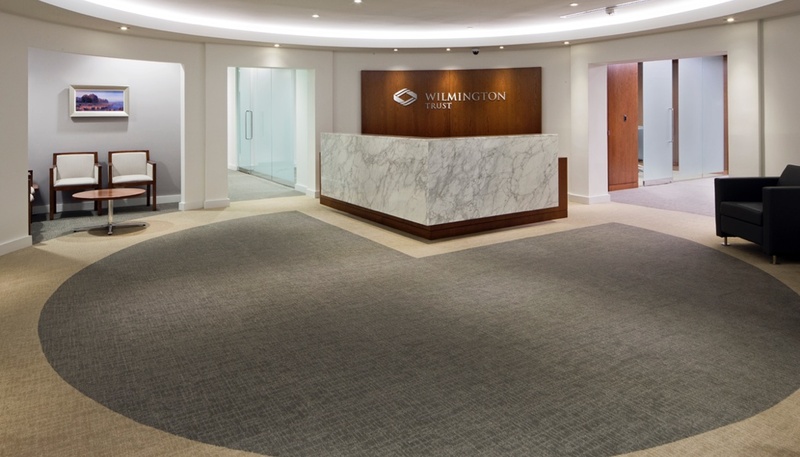 We were involved from the very beginning of the project in numerous design meetings with the local architect and provided feedback to the UK-based design consultant on the construction methods required to accomplish their design objectives. 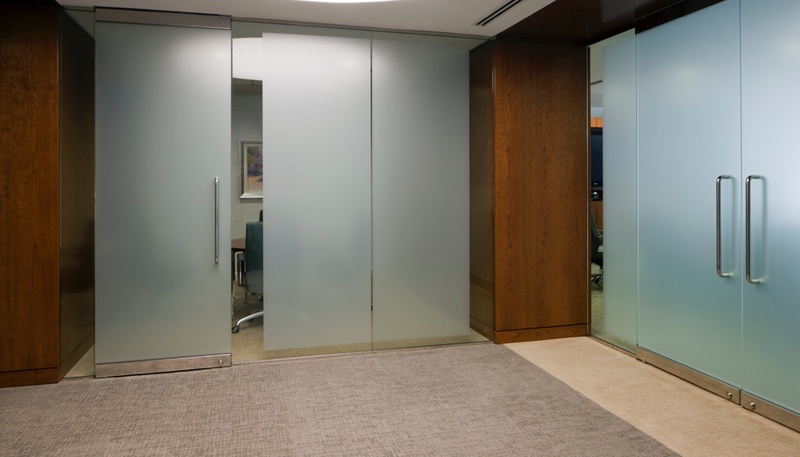 The extremely high-end finishes feature book-matched cherry veneer wall and ceiling paneling, LED feature lighting, Italian marble countertops, and numerous frosted glass walls and frameless glass doors, all of which combine to create an awe-inspiring space. 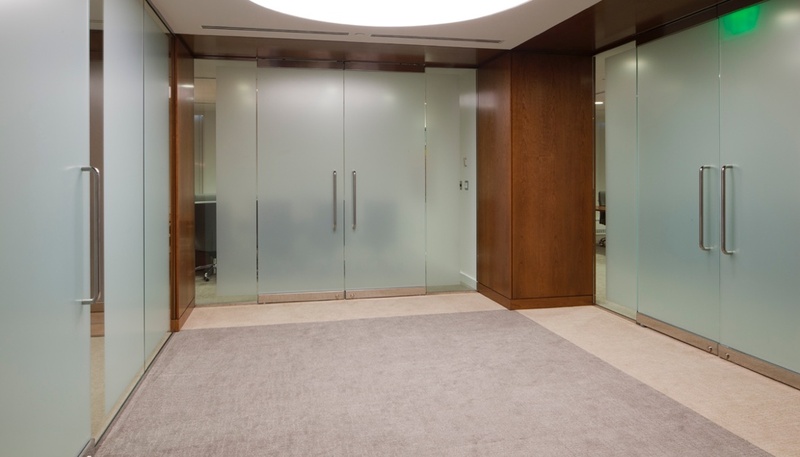 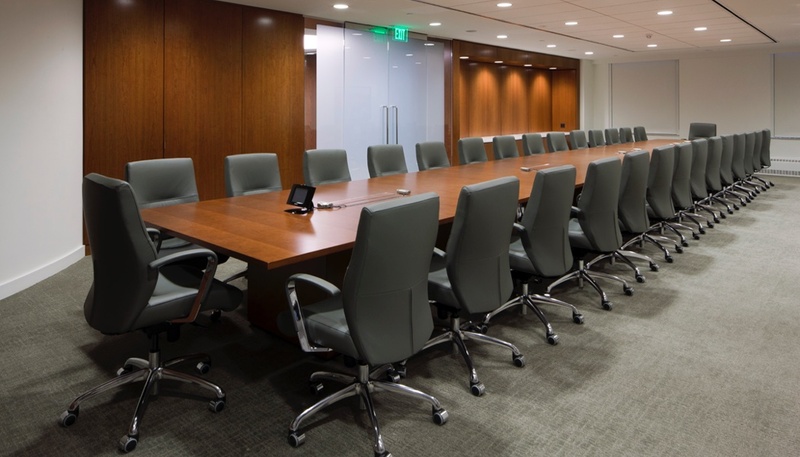 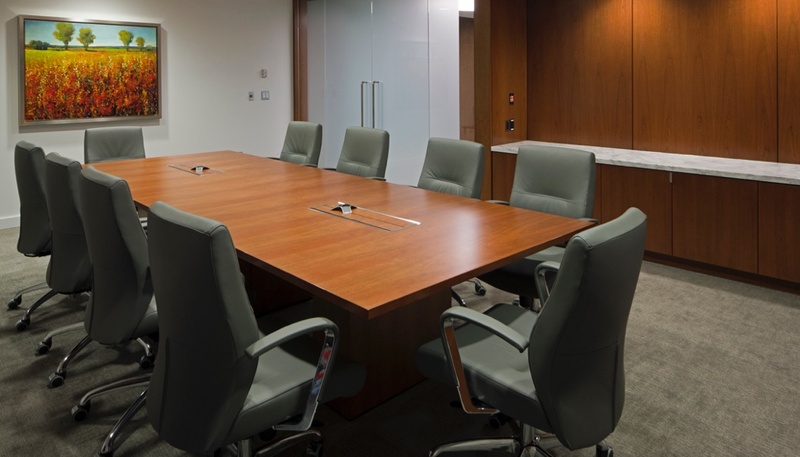 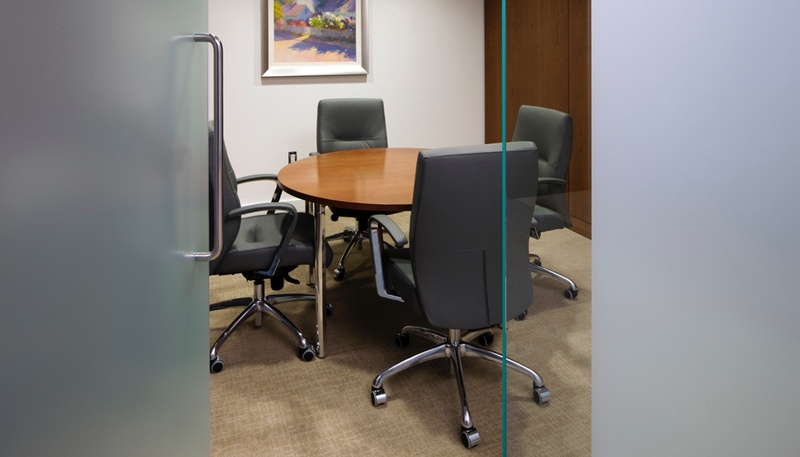 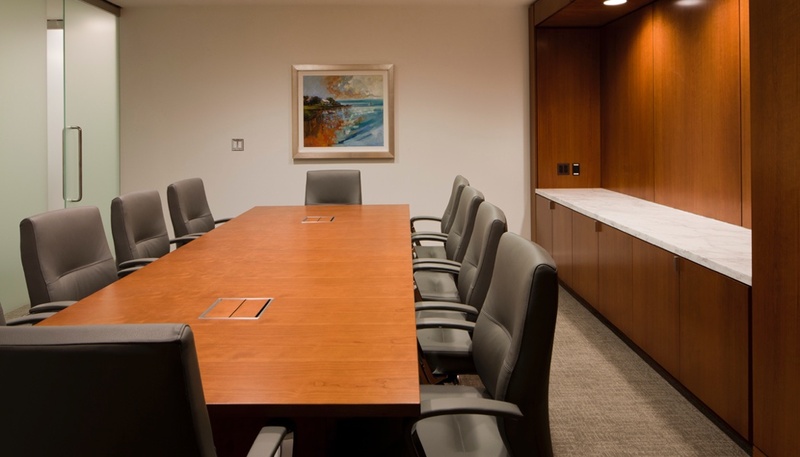 As this project was constructed within an operating professional office on the 16th floor of an occupied building, much of the work was completed outside of regular business hours. 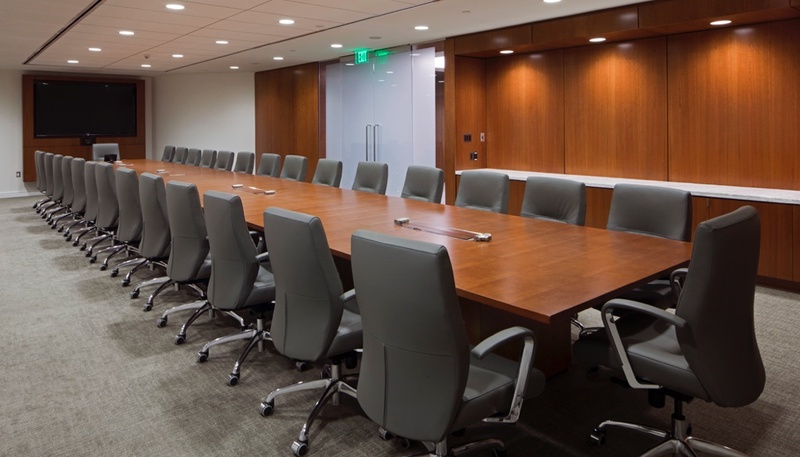 Schaefer Construction’s expertise in project scheduling and coordination, combined with our relationships with specialty subcontractors and vendors, complemented the forward thinking of the design team to complete a very successful and stylish project.